Commercial properties have slowly been turning to solar energy to improve efficiency and lower the impact they have on the environment. Solar power is a reliable source of energy that can be harvested from the natural energy produced by sunlight. As businesses and residents continue to learn more about solar energy, we are seeing an increase in solar conversions for both commercial and residential property. Design and installation improvements have made solar panels more affordable to purchase and install. Businesses that own large pieces of commercial properties like a retirement community, warehouses, apartment complexes, and strip malls have the rooftop real estate available to for solar panels. These properties are ideal for solar panels and should be considered for anyone looking to reduce utility bills and lower greenhouse gases. Why Convert Your Commercial Property To Solar? By switching to solar power you can reduce your dependency on the electric companies and lower your monthly electric bill at the same time. The rebates offered on a State level could potentially be enough to finance a large chunk of the purchase and installation of the solar panels. The federal government offers tax credits for commercial and residential properties that convert to solar electricity. Rest well at night knowing you are spending less money every month on energy. You should also feel good about the decision to go solar because of the positive impact it will have on the environment for reducing greenhouse gases. Energy is a lot like gas, rates are always going up as demand increases. Converting to solar powered energy will allow you to lock in rates for multiple years and save money should the price of energy increase during that time. 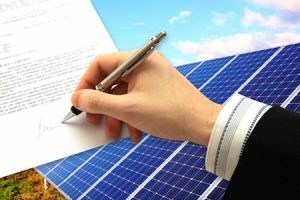 Solar contracts can last 3-5 years depending on the electric company you are working with. Solar leasing companies can help you find existing contracts for commercial and residential properties may be grandfathered from previous rates. These are important things to note if buying or selling a piece of property that already has solar panels installed and an existing contract in place. Utility rates continue to rise, there have been increases in the last 10 years that have exceeded 50% over the course of a single calendar year. Solar electric systems can increase the value of a commercial or residential piece of property by reducing its annual operating costs. By switching over to solar energy, you can lower your dependence on fossil fuels and increase the resale value of the property. Reducing our dependence on fossil fuels will also help us reduce our dependence on the foreign energy source. Solar energy is extremely efficient, there is no need for transportation containers or digging devices. The natural sunlight that shines and some solar panels are enough to give you energy. This energy efficiency also makes it unique for the fact that international affairs have no impact on the price of this product. Once the solar panels are installed, it’s up to the sun and the technology to provide your property with the energy it needs to operate. Rooftop solar panels are not the only solar asset property owners can invest in. 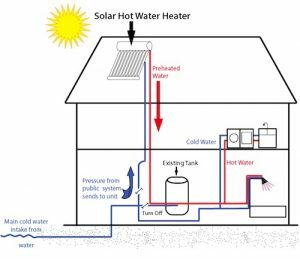 Solar lighting can be found in neighborhoods around the country, solar hot water heaters are being used to bring hot water into homes that don’t have it, and smart cars can be charged from solar energy cells installed in your garage. Some homes and office complexes have even invested in solar heated granite surfaces. The opportunity to leverage solar electricity for your benefit is here. Finding the solar plans and technologies that best suit your property is where the expertise of a solar contractor will allow you to optimize your investment and find the solution that is right for you. Technology is advancing at the speed of light and the home and garden industry keeps getting more and more sophisticated with smart ovens, smart refrigerators, and full home automation systems. There are many innovative technologies hitting the market every day that include smartphone-controlled devices like water heaters and alarm systems. We like to think we are pretty current with our knowledge of the industry, but this latest innovation has really grabbed the attention of our team. An Arizona Granite contractor has developed a new solar heated granite countertop slab for kitchen countertops. The granite countertops are installed with solar heating elements adhered to the bottom of the granite slab. There is a convenient power switch built into the countertops that allow for homeowners to quickly turn the surface into a plate warmer. There are many homes in the Phoenix metro area that are building wood-fired brick ovens into their home’s kitchens for entertainment purposes. The ability to pull a pizza out of a brick oven and place it directly on to a heated slab of granite has many Phoenix homeowners opting in for the solar-powered granite countertops. Ice cream shops like Cold Stone Creamery have used ice gold granite in their franchises to produce a handmade dessert on a frozen granite surface. The granite slabs are cooled and the ice cream and ingredients are added to the granite surface and mixed together before being served. Cold Stone Creamery is located in Scottsdale Arizona and is one of the only ice cream shops in the nation that use an iced granite surface to prepare their desserts. Caterers have also used heated granite for foods prepared and served to guests during catered events. The granite stone can be placed above burning Sterno canisters to heat the surfaces. Then, appetizers can be placed in a decorative manner along the surface of the granite for guests to enjoy. The innovative solar powered granite surfaces in Arizona homes has ushered in a new era of convenience for homeowners that find joy in entertaining guests or even keeping food plates warm during family suppers. 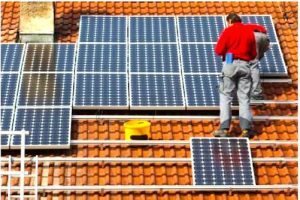 Adding solar panels to your Arizona home can increase value and you should seek out the advice of a solar broker in Arizona prior to putting your home up for sale. 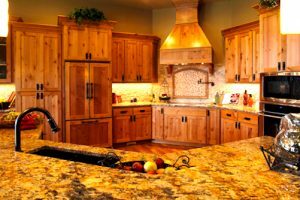 The heated granite countertops are also a value-add when it comes to selling your home. Solar powered home appliances and furnishings continue to decorate the interior of Arizona homes because of the year-round sunshine the state gets. It’s easy to see why people from the East Coast are moving here in droves as the harsh winter conditions continue to have a negative effect on the local residents in the area. If you are planning on moving to Arizona, or if you are currently a homeowner in Arizona and have considered installing solar panels to reduce your footprint on the environment and pave the way for future generations, please consider all the benefits and take action. Solar powered homes save homeowners money in the long run and provide convenient ways to power appliances around the home. They don’t discriminate against the chilly months of the year. All of us understand a really warm day spells out the chance for tornadoes or severe thunderstorms. When a twister strikes is in a storm cellar among the safest areas to be. You can buy a pre-storm shelter that is manufactured and install it yourself or have it installed. If you pick to do this it’s important which you research the proper stuff to use for the shelter to succeed in order. It is possible to have Flat Safe Storm Shelters constructed into your house or in the earth near your house. In addition they come in various sizes, so you should take into consideration demands and the size of your family. If you reside in a trailer, it’s especially significant that you know in the place where it is possible to take cover or have a storm shelter. Many of the Flat Safe storm shelters are installed in the garage of the home, giving you the opportunity to access the shelter from the interior of the home. The is a great preventative measure to avoid running out doors during a storm. Storm shelters located insid the home and buried under concrete slabs provide much safer means of protection than above ground shelters. Room or a cellar that’s rather without windows and subterranean is the next best thing to some shelter that is reinforced. If there are windows in the cellar, cover if you’ve got time and stay from them. You should visit an interior room which is on the lowest place of your home if there’s absolutely no cellar in your house. Toilet or a wardrobe is not worst. You should steer clear of outdoor walls, windows and doorways. Stay from big rooms for example the center of the supermarket, auditoriums or big halls. The smaller hall or the room the better. Take cover under it, if there exists a hefty furniture piece in the room. Shield body and your head with blankets, pillows or mattresses. If you’ve got pets or small kids with you, make certain they’re well shielded too. Keep a cell phone with you and a torch, preferable in your pocket. It is possible to call someone this way should you be trapped and you may have a torch that will enable you to be located. A battery powered TV or radio can be great to keep in your safe spot to keep yourself educated. Tend not to stand out or by a window on the veranda and make an effort to video it. You’ll be able to optimize your odds of being safe during a tornado if you follow these suggestions and other suggestions online. TOKYO (Reuters) – Uber Technologies is discussing the possibility of installing its self-driving system in Toyota Motor Co <7203.T> vehicles as the U.S. ride-hailing firm seeks to sell its autonomous driving technology to outside companies, the Nikkei reported on Friday. Without citing sources, the Japanese business daily said that the firms are negotiating a possible deal for Toyota to use Uber’s automated driving technology in one of the automaker’s minivan models, and that Uber CEO Dara Khosrowshahi had met with Toyota executives in the United States this week. 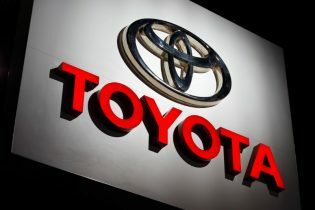 Toyota, which is developing its own automated driving functions, has said it is open to collaborating with other firms to quickly bring new mobility technologies to market. It already has partnerships with Uber on ride-hailing and development of self-driving systems. “We regularly exchange information about automated driving with Uber for some time now,” a spokeswoman said, adding that no decisions have been made beyond its existing partnership. Global automakers and tech companies are racing to develop self-driving cars as the rise of autonomous, on-demand vehicle services upends the traditional business model of personal transportation that is largely based on individual car ownership. As it battles with Alphabet Inc’s Waymo to develop self-driving car services, Uber has been testing autonomous vehicles in the United States, and has been working with Volvo Cars and Daimler AG on driverless cars. In January, the Japanese automaker said it was working with Uber to develop a system of self-driving vehicles for tasks including ride hailing and parcel delivery. Toyota is an investor in Uber, and offers flexible vehicle leasing terms for Uber drivers. 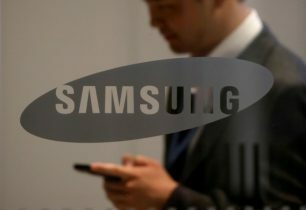 It has declined to comment on its size of its stake in the company. TOKYO (Reuters) – Amazon Japan said on Thursday it had been raided by the country’s fair trade regulator on suspicion of a possible anti-trust violation. 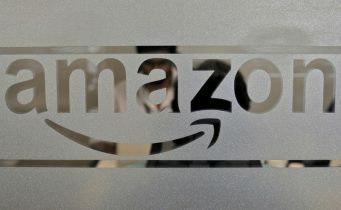 An Amazon Japan spokesperson told Reuters it was fully cooperating with the Fair Trade Commission but declined to elaborate or comment on details about the suspected violations outlined in earlier local media reports. 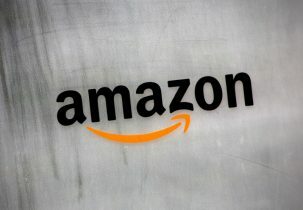 Citing sources related to the matter, Kyodo news agency said on Thursday the online retailer is suspected of possibly asking suppliers to shoulder part of the cost incurred from selling their products at a discount on Amazon Japan. The Asahi daily reported that the firm may have demanded suppliers pay a “collaboration fee,” measured as a percentage of the selling price of the product. Amazon Japan had come under regulatory scrutiny before. In a previous anti-trust probe, the Fair Trade Commission found the firm had required suppliers that sell their products on multiple platforms to list them on Amazon Japan at the same or lower price. Amazon Japan agreed to drop the practice and the regulators ended the probe last June. The Japan Fair Trade Commission declined to comment on the case. 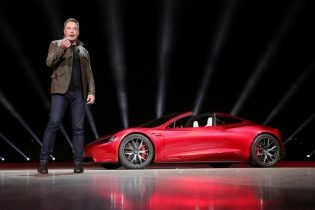 SHANGHAI (Reuters) – Talks between Telsa Inc and Shanghai authorities over building a local manufacturing plant remain on track, the city government said on Tuesday, easing concerns of a breakdown in negotiations after the electric carmaker’s chief criticized Chinese trade rules last week. 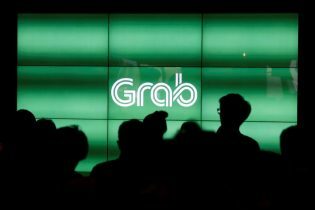 SINGAPORE (Reuters) – Southeast Asia’s Grab has formed a venture with Japanese credit card company Credit Saison Co Ltd to provide loans and lending services in the region, marking the ride-hailing firm’s biggest expansion into financial services. It will be part of newly launched Grab Financial, which offers services ranging from payments to rewards and loyalty services, the firms said in a statement on Tuesday. The joint venture firm, Grab Financial Services Asia, plans to offer micro-financing products. It aims to leverage Grab’s network of millions of consumers and small businesses as well as data on consumer behavior, then marry it with Credit Saison’s expertise in credit analysis and consumer lending. “Grab Financial Services Asia is building a reliable alternative to traditional credit scoring methods that is customized for the unbanked majority of consumers and small businesses in Southeast Asia,” said Jason Thompson, managing director of Grab Financial. Grab, which started as a taxi-hailing app firm and competes with Uber [UBER.UL], has been expanding into financial services over the last two years by acquiring companies and forming partnerships to spread usage of its mobile wallet. 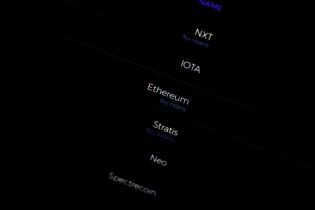 The new venture will also look at offering credit scoring services to financial firms who can use the information to provide other services such as virtual credit cards. 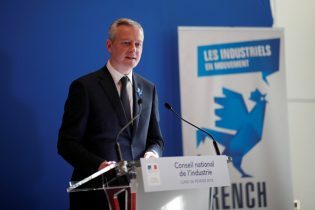 Thompson declined to provide financial details of the venture with Credit Saison. Grab operates in eight countries in Southeast Asia and its app has been downloaded on more than 86 million mobile devices. It offers ride-hailing, on-demand food and delivery services. Grab also said it had partnered with Chubb Ltd to offer insurance coverage to Grab’s 2.6 million drivers.